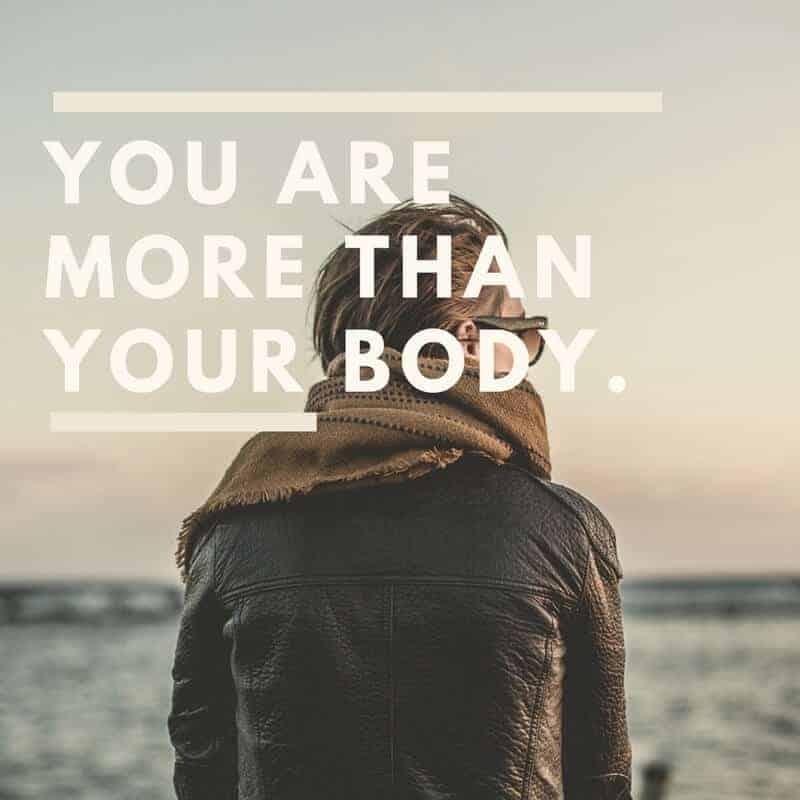 Last week, I published the first part of a two-part series (this is not part-two) that proclaimed that you are more than your body. As our bodies break down from chronic illness and we struggle with acceptance over our appearance or physical capabilities that is an important reminder. We are spiritual beings with self-aware minds. Our value is not rooted in our body image. “So it will be with the resurrection of the dead. The body that is sown is perishable; it is raised imperishable; it is sown in dishonor, it is raised in glory; it is sown in weakness; it is raised in power; it is sown a natural body; it is raised a spiritual body” (1 Cor. 15:42-44). Think about this from the perspective of those of us with chronic illness. We exchange perishable for imperishable, dishonor for glory, weakness for power, natural body for spiritual body. This means that we really are raised just as Jesus was. But the past reality of Jesus’ resurrection means a future reality for his disciples where all pain and suffering is replaced with glory and immortality! 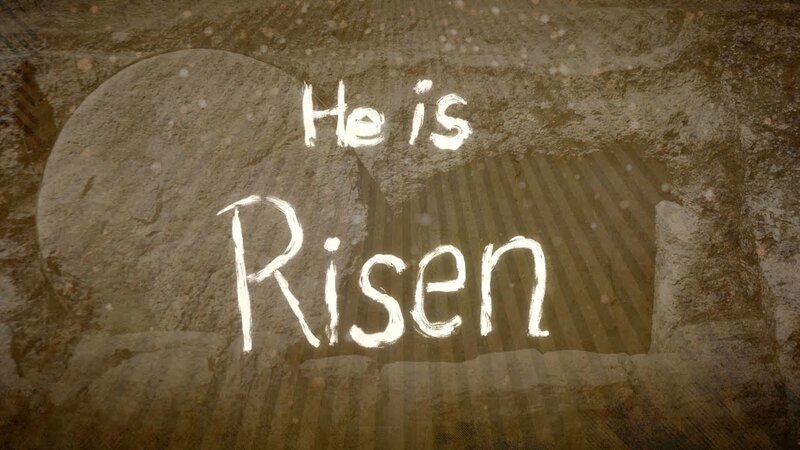 Praise God for he is risen! He is risen indeed! In another Facebook group I belong to, the administrator asked people to describe the first word that came to their minds when they thought of their bodies. This is a group of chronic pain sufferers, so I didn’t think the replies would be positive. One word stuck with me, because I can relate to it. Betrayed. Betrayed is how I felt in 2011. I worked my tail off to get in the best shape of my adult life only to injure my hips, and then begin the fall down the rabbit hole of worsening diagnoses seemingly every time I saw a doctor. 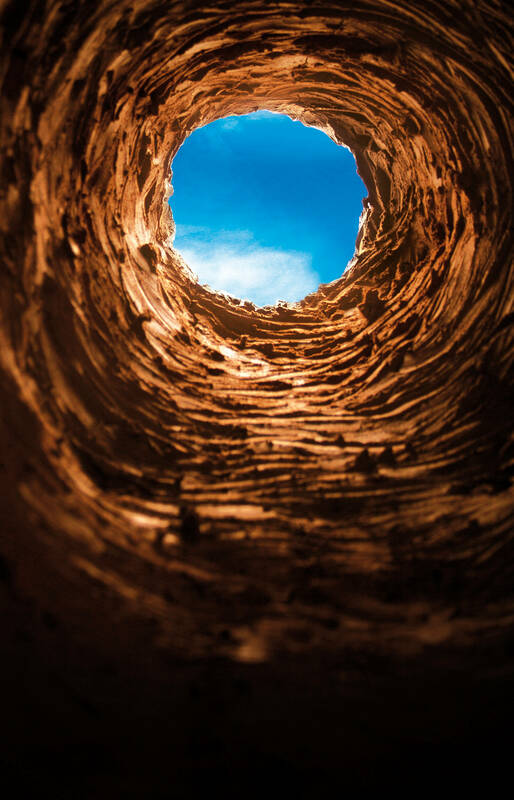 Medical visits seeking diagnoses can be like falling down the Rabbit Hole! Most people suspect that they are not simply a union of cells and a collection of matter. In other words, there is something deeply spiritual about us all that strongly testifies that we were created as more than a body. But when you deal a lot with the medical culture, especially here in the West, you are often treated as if you are only a body that has gone wrong. Science recognizes no such spirituality and western medicine is firmly rooted in science. It is a good thing that science dictates our medicine. It is a bad thing that medical practice has seemingly absorbed the naturalistic (This word simply means that there is nothing beyond the natural universe) philosophical assumptions of science (which is really more than just science). When you go to doctor visit after doctor visit, get a new prescription after new prescription, face another surgery, etc., then it is easy to forgot to tend to your emotional, mental, and yes, spiritual needs. And when you have fallen into the trap as viewing yourself as only a body gone wrong, then that is going to damage your self-perception. When you think of your body betraying you, it is interesting what that admission suggests. Who is the “you” that has been betrayed? If you really thought of yourself as just a body, then a body gone wrong is just that, but there would be no one betrayed, because there would not be a distinction between your body and you! But your body did betray you. It isn’t working like it should. If you have an autoimmune disease, even better…your body is actively working against you! But the “you” is your perception of self and who you are. You are a union of body, soul, and spirit (Some say just body and spirit, but that debate goes beyond the scope of this post). You have a mind–not just a brain–that is greater than your betraying body. The body is important. That’s why we do what we can to treat it! But please do not forget that you need to make sure you are getting taken care of spiritually, emotionally, and mentally. Chronic pain, depression, and anxiety are strongly correlated. But many with chronic pain will spend literally weeks and months of their lives with doctors treating the body, but never make it a priority to speak to a counselor. And the sad thing is that more depression and anxiety exacerbate the chronic pain and vice versa. Many people reading this post, probably have thought about seeing a counselor, but have never done it. You should do it. It might amaze you what a trained expert can see and point out that you have never been able to put together. Finally, do not assess yourself by the condition of your body. That is only one aspect of who you are. The body like the spirit is in need of redemption, and God has seen to that in the resurrection. But our body-obsessed culture values everyone by what they look like and how well they function. It is a society that has rejected the biblical view of the whole person. It is a lie. Do not believe it for a moment. You are more than just your body! Spiritually, there are major considerations as well. How does chronic pain adversely effect your relationship with God? Can it be used somehow beneficially in your walk with God? That will be the subject of Part 2…coming soon. Here’s a 10 minute video on some reflections on Job as it relates to chronic pain/suffering. This is a devotional I would have given in a Broken and Mended support group, but we cancelled for Spring Break. Hope this message is a blessing! Does a Support Group Stigmatize You? I had heard recently that a friend didn’t want to be identified with our group because she didn’t want chronic pain to become her identity. I take no offense, because, first of all, this friend is one of my greatest supporters in everything I do. Second, this group is here for those who need it. I never imagined it would be for everyone with chronic pain. But Broken and Mended is not just a blog. We are a ministry and there are many ways to connect with us. Her hesitation relates directly to joining a support group. The implication is that joining a support group stigmatizes you or, at least, labels you. Even if that is true–which I will contest momentarily–it is still another large leap to say that joining a support group will form your identity around the purpose of the group (in this case, chronic pain). In the meetings themselves, we have strongly debunked the idea that our identity should be based on chronic pain. I’ve also touched on the issue in a video blog here and I wrote on the purpose of a support group here. The idea that joining a group for support stigmatizes you is perpetuated by a society that continues to elevate self-sufficiency as one of its favorite idols. We all need help in some way. Some need it more than others due to extenuating circumstances. That doesn’t mean that participation in a group created for those in similar circumstances creates a personal identity equal to the group identity. What I mean is that, of course, a group has a particular identity. And when we participate in such a group, we absorb some small aspect of that group into us, but we also give some part of who we are to the group. Let me tell you a little about me that has nothing to do with my participation (even my creation of!) in a support group. I am naturally shy and self-conscious. Sometimes I think God put me in ministry so I wouldn’t completely retreat into myself. I am an avid Houston sports fan. I love to read and to contemplate big ideas. I am a family man who loves his wife and kids and extended family. I can work hard for long periods of time and do absolutely nothing for long periods of time. Oh, and I happen to struggle with chronic pain and started a support group, in part, to help combat the loneliness that comes with that. My struggles do not make me who I am, but they are part of who I am. All of who I am belongs to Christ. He is my identity! And whatever segment of society that wants to attribute my entire identity to one aspect of who I am (because society loves to label people! ), that is their problem and not mine. What I want to say to you is that if the reason you have not given us a try is because you thought that somehow being involved would claim your entire identity, that couldn’t be further from the truth. One of the main reasons I am doing what I am doing with Broken and Mended is to help people see that they are so much much than their illness! When you hurt all the time, you can start to believe that your identity and pain are the same thing. But it isn’t true, and Broken and Mended will never tell you otherwise!